Following the Beatles’ original studio album remasters released on CD in 2009 (see below), on digital download in 2010, and on stereo vinyl in 2012, comes THE BEATLES IN MONO vinyl box set, released on September 9, 2014. The Beatles in mono was how most listeners first heard the group in the 1960s, when mono was the predominant audio format. Up until 1968, each Beatles album was given a unique mono and stereo mix, but the group always regarded the mono as primary. The Beatles’ nine U.K. albums, the American-compiled Magical Mystery Tour, and the Mono Masters collection of non-album tracks will be released in mono on 180-gram vinyl LPs with faithfully replicated artwork. Newly mastered from the analogue master tapes, each album will be available both individually and within a lavish, limited 14-LP boxed edition, The Beatles In Mono, which also includes a 108-page hardbound book. Available individually and collected in a boxed collection, accompanied by a 108-page hardbound book. The Beatles, January 1963. © Calderstone Productions Ltd. 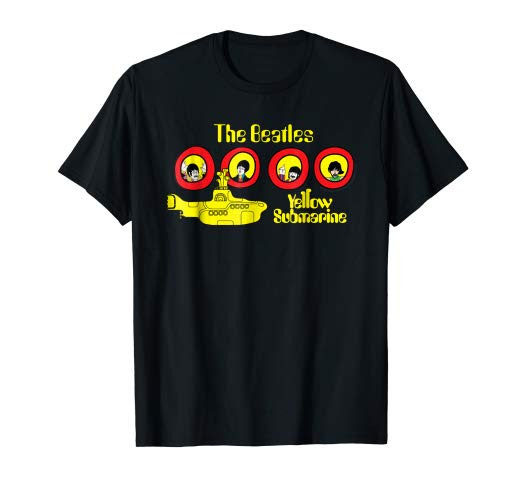 The Beatles’ acclaimed original studio album remasters, released on CD in 2009 (more info below) and in 2010 for digital download, made their long-awaited stereo vinyl debut on November 13, 2012. Manufactured on 180-gram, audiophile quality vinyl with replicated artwork, the 14 albums return to their original glory with details including the poster in The Beatles (The White Album), the Sgt. Pepper’s Lonely Heart Club Band‘s cutouts, and special inner bags for some of the titles. Each album will be available individually, and accompanied by a stunning, elegantly designed 252-page hardbound book in a lavish boxed edition which is limited to 50,000 copies worldwide. The book, exclusive to the boxed edition, is authored by award-winning radio producer Kevin Howlett and features a dedicated chapter for each of the albums, as well as insight into the creation of the remasters and how the vinyl albums were prepared. 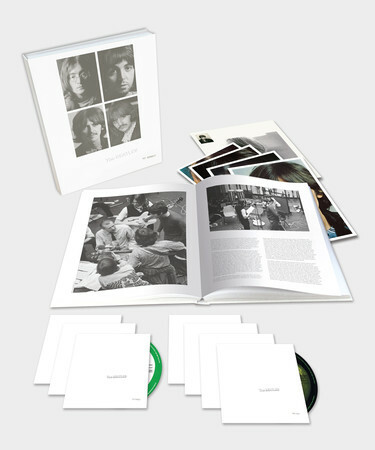 The 12″x12″ book showcases a wealth of photographs spanning The Beatles’ recording career, including many images which were not included in the 2009 CD booklets. In 2014, the remastered albums will make their mono vinyl debuts. When The Beatles’ albums were first released, the listener enjoyed a tangible relationship with the music in the grooves of a record. There was an emotional connection to the artifact carrying the sound, and this bond was strengthened by the LP sleeve. Rather than a merely functional object to protect the disc, it was elevated to a stylish accessory. Certainly, the cover of a Beatles album conveyed a message about the music it was wrapped around. For example, the dominant orange and brown hues and elongated faces on the front of Rubber Soul seem to embody the sound of the record. With the advent of the cassette tape in the seventies and the compact disc in the 1980s, album artwork was reduced in size and importance, losing much of its charm. That is partly why vinyl LPs have not, as predicted, been discarded. On April 7, 2009, Apple Corps and EMI Music announced the release of the original Beatles catalogue, which has been digitally re-mastered for the first time, for worldwide CD release on Wednesday, September 9, 2009 (9-9-09), the same date as the release of the widely anticipated “The Beatles: Rock Band” video game. The collection comprises all 12 Beatles albums in stereo, with track listings and artwork as originally released in the UK , and ‘Magical Mystery Tour,’ which became part of The Beatles’ core catalogue when the CDs were first released in 1987. In addition, the collections ‘Past Masters Vol. I and II’ are now combined as one title, for a total of 14 titles over 16 discs. This will mark the first time that the first four Beatles albums will be available in stereo in their entirety on compact disc. The Stereo Albums (available individually and collected in a stereo boxed set) have been remastered by Guy Massey, Steve Rooke, Sam Okell with Paul Hicks and Sean Magee. All CD packages contain original vinyl artwork and liner notes, extensive archival photos, additional historical notes by Kevin Howlett and Mike Heatley, and additional recording notes by Allan Rouse and Kevin Howlett. A second boxed set has been created with the collector in mind. The Beatles Remastered Mono Box Set gathers together, in one place, all of the Beatles recordings that were mixed for a mono release. It will contain 10 of the albums with their original mono mixes, plus two further discs of mono masters (covering similar ground to the stereo tracks on ‘Past Masters’). As an added bonus, the mono “Help!” and “Rubber Soul” discs also include the original 1965 stereo mixes, which have not been previously released on CD. These albums will be packaged in mini-vinyl CD replicas of the original sleeves with all original inserts and label designs retained. The mono albums have been remastered by Paul Hicks, Sean Magee with Guy Massey and Steve Rooke, presented together in box with an essay written by Kevin Howlett. In addition, de-noising technology, which is often associated with re-mastering, was to be used, but subtly and sparingly. Eventually, less than five of the 525 minutes of Beatles music was subjected to this process. Finally, as is common with today’s music, overall limiting – to increase the volume level of the CD – has been used, but on the stereo versions only. However, it was unanimously agreed that because of the importance of The Beatles’ music, limiting would be used moderately, so as to retain the original dynamics of the recordings.